Providing constructive feedback on writing is essential for helping students improve their skills. With this time-saving tool from writing expert Ruth Culham, you’ll have more than 100 just-right comments at your fingertips! 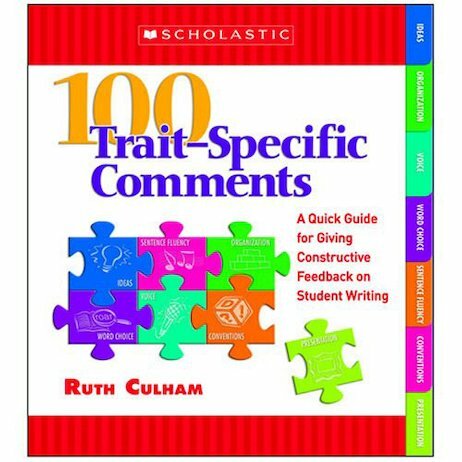 Correlated with student-friendly scoring guides – also included – and organized by traits such as word choice and sentence fluency, Ruth provides responses to writing at three different levels of achievement. The comments give students direction on where to focus their attention and what strategies to try as they revise or begin a new writing project. This tabbed, four-color guide is a must for any writing teacher!